Get a sense of the local culture at The Rocks and Art Gallery of New South Wales. 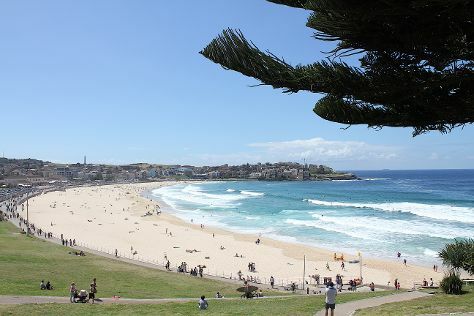 Step out of the city life by going to Bondi Beach and The Giant Stairway. Explore Sydney's surroundings by going to Shelly Beach (in Manly), Wentworth Falls (in Katoomba) and Govetts Leap (in Blackheath). There's lots more to do: admire the landmark architecture of Sydney Opera House, see the interesting displays at Australian National Maritime Museum, trek along The Opera House to the Botanic Gardens Walk, and enjoy the sand and surf at Manly Beach. For photos, ratings, and other tourist information, read our Sydney travel planning tool . If you are flying in from Germany, the closest major airport is Sydney Kingsford Smith International Airport. Expect a daytime high around 25°C in September, and nighttime lows around 14°C. Wrap up your sightseeing on the 5th (Thu) to allow time to travel to Melbourne. 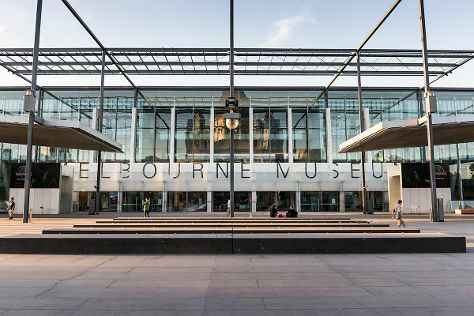 Do some cultural sightseeing at Melbourne Museum and National Gallery of Victoria. Get outdoors at Eastern Beach Reserve and Melbourne Zoo. There's lots more to do: browse the exhibits of Shrine of Remembrance, take in the spiritual surroundings of ISKCON Melbourne (Hare Krishna Temple), take a stroll through Degraves Street, and see the interesting displays at HMAS Castlemaine. For more things to do, other places to visit, ratings, and other tourist information, read Melbourne day trip planning website . Traveling by flight from Sydney to Melbourne takes 3.5 hours. Alternatively, you can do a combination of flight and shuttle; or drive. Traveling from Sydney in September, things will get little chillier in Melbourne: highs are around 20°C and lows about 7°C. Cap off your sightseeing on the 9th (Mon) early enough to travel back home.